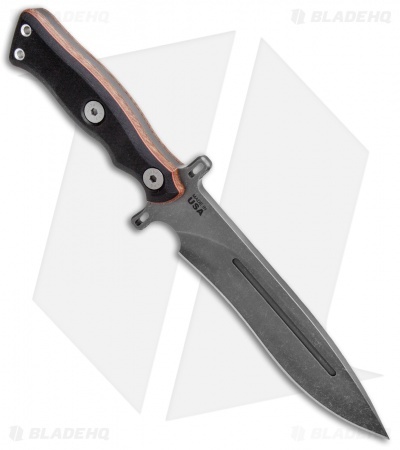 TOPS Knives is taking their tactical game to the next level with the Operator 7 fixed blade. 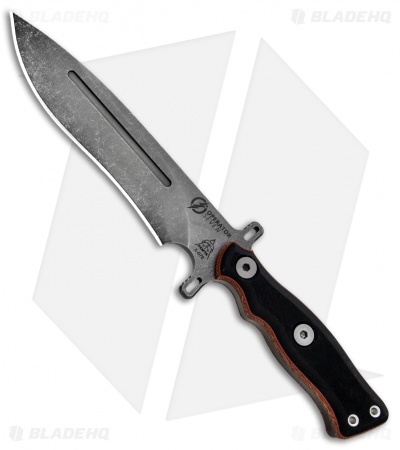 This heavy weight contender is built with a 1075 carbon steel blade that is over a quarter inch thick. A sturdy grip is facilitated with ergonomic G-10 and micarta handle scales and a symmetrical steel guard. TOPS is thrilled to add this heavy duty Operator 7 fixed blade to their tactical line-up and are certain that it will serve you well in any difficult situation. Heavy duty handle constructed from sandwiched micarta and black G-10 for a secure, high performance grip. 5/16" full tang blade is made from 1075 steel with a deferentially heat treat for strength and durability. 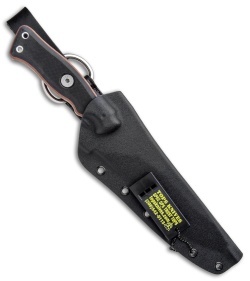 Item includes a kydex sheath with a leather belt loop for comfortable carry. This knife is awesome, thick 5/16" 1075, but TOPS made it comfortable and good looking with the two-tone handle scales. I really like the kydex sheath too. I prefer the acid rain finish vs the black powdercoat, more durable and won't wear off. This is a knife Rambo would use.